KUALA LUMPUR: Malaysia on Thursday named Sultan Abdullah Ibni Sultan Ahmad Shah as the country’s 16th King. In a statement from the Keeper of the Ruler’s Seal, Sultan Abdullah will officially take over as King or Yang di-Pertuan Agong on January 31, replacing his predecessor Sultan Mohammad V of Kelantan state who resigned on January 6, reports Xinhua News Agency. The 59-year-old Abdullah became Sultan of the Malaysian state of Pahang, succeeding his father Sultan Ahmad Shah, 88, who abdicated on January 11 due to ill health. Abdullah is heavily involved in sports and is a council member of the ASEAN Football Federation (AFF) and a council member of FIFA, the international football governing body. He was the president of the Football Association of Malaysia. The previous king, Sultan Mohammad V, stepped aside this month following just two years on the throne after reports surfaced he had married the former Miss Moscow while on medical leave. The meeting got under way at 11.15am (0315 GMT), Bernama said. The only one absent was Mohammad V, who remains the sultan of the northeastern state of Kelantan, despite having abdicated as the national monarch. Sultan Abdullah, 59, was named the state’s new ruler — replacing his elderly, ailing father — several days after Mohammad V’s abdication, in a step viewed as paving the way for him to become the next national monarch. As well as being a member of the FIFA council — which lays out the vision for global football — he is president of the Asian Hockey Association and a former head of the Football Association of Malaysia. If he does not become king — he could refuse the post, or be deemed unsuitable — then the next in line for the throne is the sultan of Johor state. The sultan of Johor, which borders Singapore, is one of the country’s most wealthy and powerful Islamic rulers, and has his own private army. 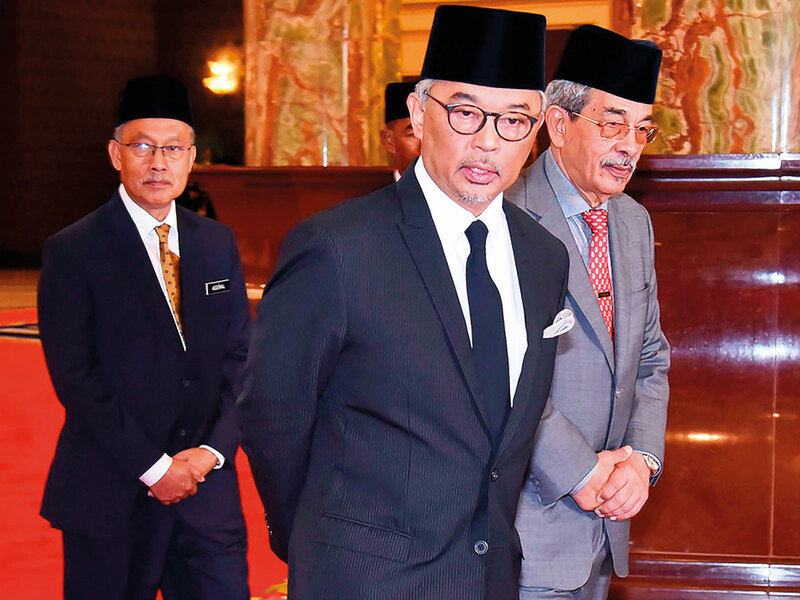 While their role is ceremonial, Malaysia’s royalty command great respect, especially from the country’s Muslim Malay majority, and criticising them is strictly forbidden.